If you have suffered an injury due to the negligent conduct of another party, you may be unsure of what a personal injury lawsuit involves or even if you have the ability to pursue legal relief. Our Attorneys have been winning personal injury lawsuits for over twenty years and have the skill and expertise that is necessary to handle these types of cases. If this article doesn’t answer every question you have with regard to your potential personal injury case do not hesitate to contact us. Lawsuits have a negative stigma and some people wish to avoid them because they want to keep their cases out of the public eye. Frankly, the general public’s understanding of what a lawsuit is and how one works is inaccurate. Nevertheless, we typically only have to file suit in 10% or less of our cases. If it comes down to it, we will file suit and litigate, but our winning track record usually allows us to settle the case merely by threatening to file suit. A personal injury lawsuit is little more than a formalized letter of intent. Whereby we tell the court our client has been injured and we think some person or business is responsible for the injures that you have suffered, and we would like the court to make both parties to come to an agreement. Will I get rich from my personal injury lawsuit? 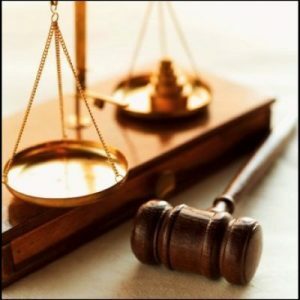 How Many Personal Injury Cases have Our Attorneys won? Literally a lot. We have won in trials, settlements, and arbitrations. What Kind of Personal Injury Cases Do Our Attorneys Handle? Our firm focuses heavily on car and truck accidents, dram shop and drunk driver accidents, workers comp nonsubscriber injuries, defective drug cases, and a variety of other personal injury cases. What rights do I have in my personal injury case? You have the right to access the court system and ask a jury to hear your explanation of events, and then either agree with you that you should be compensated. That’s it. As an injured party you don’t have any inherent right to be compensated. You just have the right to ask a jury to decide if you deserve compensation. No one owes you compensation for suffering an injury. That’s not how the law works. 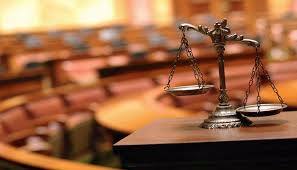 You have an opportunity to prove to a jury that the defendant should owe you. But if you don’t understand the court system and you don’t understand how to gain leverage over a defendant then it is highly unlikely that you will be able to receive compensation. This is why an attorney is so important. If you don’t know the litany of documents that you are required to file then you can and probably will lose your lawsuit irrespective of the merits of your case by deviating from the required protocol. Attorneys like the ones employed at Our Attorney are not simply along for the ride. We will make your case for you so that you can get the recovery you deserve. Should I take a settlement or go to trial? This depends on a variety of factors and that is something that you must discuss with your attorney in detail. Will I be countersued if I file a personal injury lawsuit? In the many years of practice we have never once seen this happen. Anything is possible but it is very unlikely. What court should I file my case in? There are several different courts that you can file your case in that are located in Harris County. There is a district court, county court, and a federal court. The specifics of your case will determine which court is appropriate but they are all suitable venues in most circumstances. We are paid on a contingency fee basis meaning that our fees are only paid contingent upon us winning your case. If we do not win you don’t pay us. In the event that your case is successful, the amount that you pay is a percentage of the winnings. The bottom line is that you literally do not pay us money unless we win. We approach every personal injury case by first familiarizing ourselves with the facts and circumstances of your case. This begins with a free telephone consultation, which then usually results in a sit-down meeting with the client where we provide you with a more detailed explanation of what we can offer. If you would like to hire us at that point, then you will sign a contract. Keep in mind that you do not have to pay anything out of pocket. We then begin to collect all of the evidence that will be needed to prove your accusations which typically involves collection of documents such as police reports and OSHA reports, amongst other documentation. In addition, we will speak with any witnesses and have them provide their account of what occurred. Once we have gathered all of this information and have a more complete picture we then report back to the client and advise them of their options. We will then inform them of the direction that we would like to have the case go in. In the event that the client needs medical attention, we will meet with the physician and ensure everything goes smoothly with them as well. Once all of this has occurred we will communicate with the defendant and attempt to reach a settlement. If they do not agree with terms that you find favorable then we will have to file suit. If the defendant forces us to litigate the case the typical turn around is about one year. If we are able to settle the case, this can usually occur in about three to five months.